KEF, Project Audio & Unison Research Unite to Excite! Join Myself and Jason along with the help from Nick - Henley Designs (Project Audio / Unison Research) & Nick - KEF this Thursday 26th November 4:00 - 8:00pm to hear the wonderful Unison Research tube amplifiers, Project Turntables & KEF speakers. 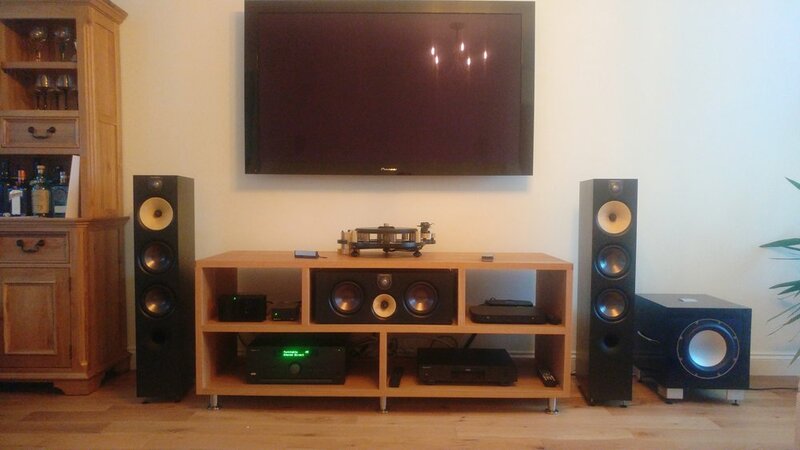 KEF LS50, KEF R300, KEF Reference 1, Project Debut Carbon Esprit SB, Project RPM1 Carbon, Project Xtension 10, Unison Research Simply Italy, Unison Research Sinfonia. The Diverse Vinyl Roadshow Comes to Audio T Enfield! Join us on Saturday 17th October 10am - 4pm as Diverse Vinyl set up their pop up shop to sell the best new releases and classic re-issues! Whilst along side we will be having some fun with the shops toys! I had a Sony 'boombox' when I was younger (I can't remember how old I was). I remember listening to a record of Tchaikovsky's Nutcracker when I was about 8 years old. It was the first music I really loved. My paternal Grandparents bought me a cassette tape of it around the same time; I still have that. My Dad had an all in one music system (not sure which make) with a record player on top. There was also a record of Billy Connolly's "Wreck on Tour" (c1974?) which I listened to so many times, I knew a lot of it word for word. One of my brothers gave me a tape of Queen’s album The Works. I fell in love with Queen and went on to acquire a number of their albums. I was lucky enough to see the Queen Musical twice, and to see Brian May and Kerry Ellis perform at the Albert Hall a few years ago. When I was studying for an MA (Kingston, 2002-03), I wrote about Queens music for Highlander and Flash; and had an email reply from Brian (via the Queen Fan Club) about Highlander. I remember first seeing a What Hi-Fi? magazine in an art class at secondary school (91-96) - which we were cutting up and using for a collage. The first Hi-Fi system I got was a Marantz PM44 amp. There was a Marantz CD63 CD player as well; I can't remember if it was mine or my Dads. I had a Pioneer PD-S703? CD player which was unusual as you had to put the CD in upside down. I had an Aiwa tape player (AD-F450 I believe) that cost around £100 at the time, and a NAD tuner. I had some rubbish no-name speakers, which I upgraded to some Mission 731's (maybe £150? ), which were great fun. 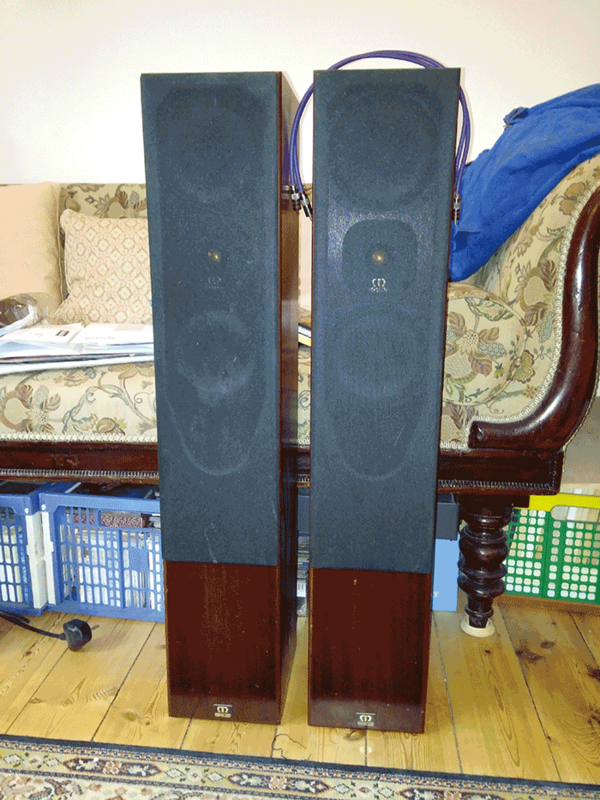 I bought some Monitor Audio floorstanding speakers (Pictured) with some money (£400) I inherited when I was 16. I remember wanting to set them up but my parents wouldn't let me because I had to study for my GCSE’s. I used part of a pay cheque to buy a Roksan Kandy amp (£575) around 98 or 99. My parents gave me an REL subwoofer for my 18th birthday (98). When I received compensation, for injuries I suffered in a road accident it allowed me to do a major upgrade. One of the Focal speakers is worth more than both of the Monitor Audio speakers I’d owned previously! I hope they will last me a similar length of time - 18 years! I look forward to adding a separate DAC and Power Supply to the Naim components as funds permit. The biggest upgrade for me now, would simply to have the space to appreciate them. I’ve got lots of (mostly old, some new) LPs. I recently purchased a re-pressing of a Led Zeppelin album. I love the tangible aspect of vinyl, as well as the audio quality. I’ve seen the Queen branded limited edition Rega turntable in this months What Hi-Fi? and it looks amazing! 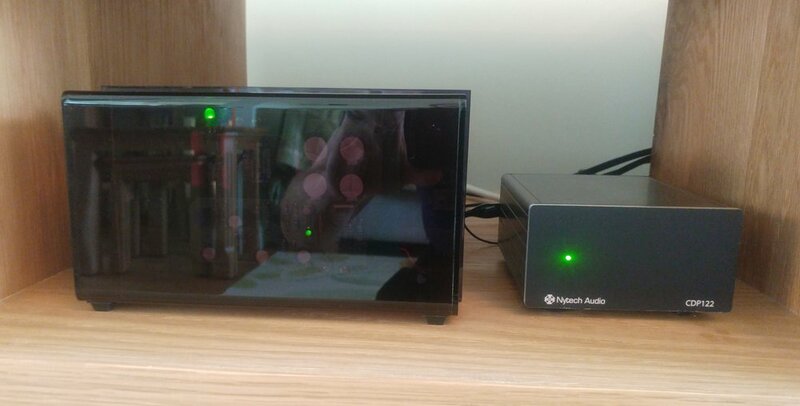 When I bought the Naim system, I gave the Roksan and Pioneer to my Dad but he doesn't use them much. Living at home, means it's often difficult to listen to music at the volume I want to, so I usually only use the Hi-Fi when he's not around (like today). Otherwise I use my iMac. I’ve also got some Sennheiser HD-650 headphones (last year, £300) which are a great upgrade from the pair I bought with my student overdraft back in '99 for £140. I lived in a detached house on my own for around 7 months between October '14 and May '15. It was great to be able to listen to loud music, even relatively loud music at 3am. I'm looking forward to being able to do so again. 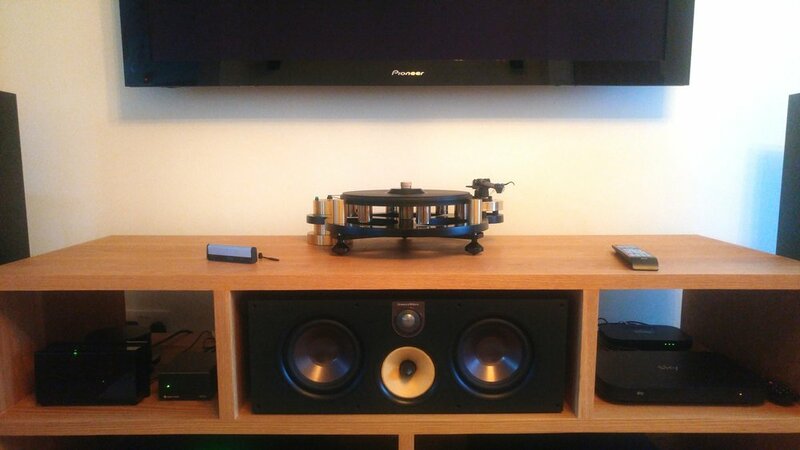 I just shared this on my Cheeky Promo Facebook group; "I purchased some Naim Audio Hi-Fi, CD player, amp, phono stage for my existing Rega Research PH & Rega USA Planar turntable and Focal Aria 926 speakers [total cost £5000 including off-shelf prices + kind discount] from the Reading branch of Audio T last year. I received great customer service and found the staff very friendly and flexible. 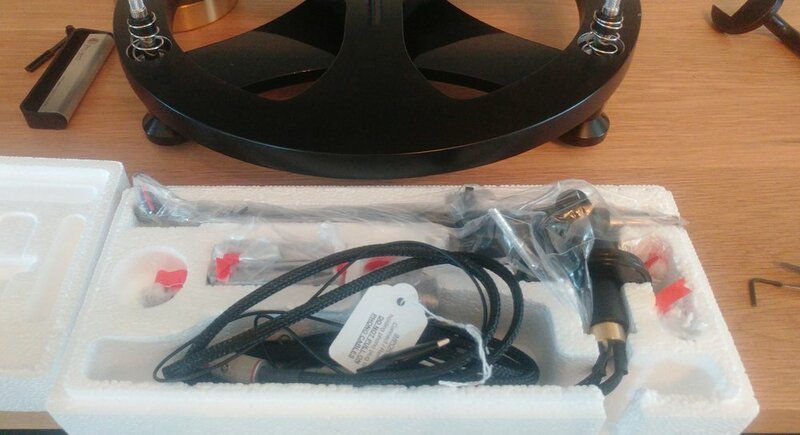 I appreciated one of them delivering the speakers in their own vehicle to my home address (in SW London) as I was unable to transport them myself. I'm really enjoying all of the new hi-fi." Someone commented: "You are part of a dying breed of people who listen to music in high quality." With most people listening on their mobile phones, or on their computers I wonder how much of the music people are actually hearing? What got me hooked on music? That's another story..... although the Tchaikovsky is part of it. 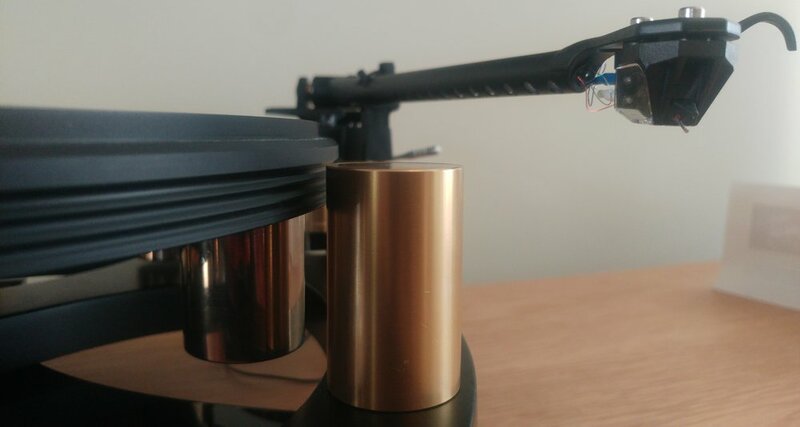 If you would like your Hi-Fi system to be featured in our blog and newsletter, please contact phil(dot)paterson(at)audio-t(dot).co.uk or simply reply to the eClub newsletter. Every customer system featured will receive a £50 credit towards your next Hi-Fi purchase. N.B. You don't have to write and essay and there are half a dozen questions that we'll ask you. You don't even have to write the article yourself! Project's Debut Carbon Esprit SB is now on demo in Audio T Enfield! 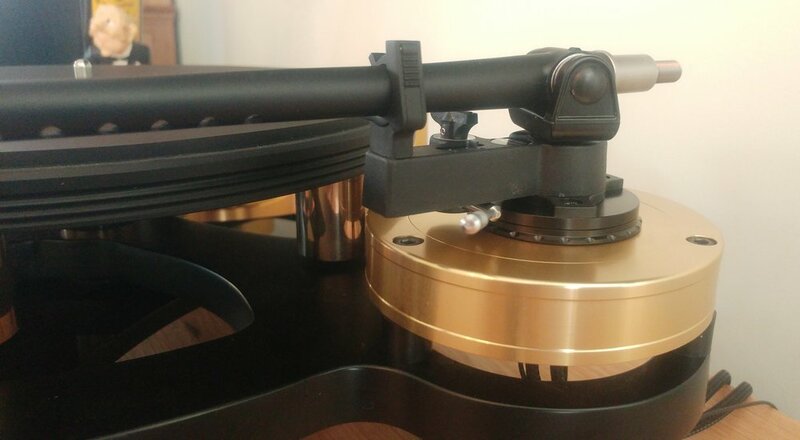 The Debut Carbon Esprit SB offers unrivalled performance and versatility at its price point and is often referred to as the audiophile "best buy" 3-speed turntable. The Debut Carbon Esprit SB represents a perfect selection of truly great ingredients. To start with a new DC power supply is coupled with a low noise TPE decoupled AC motor, controlled by a built in Speed Box. 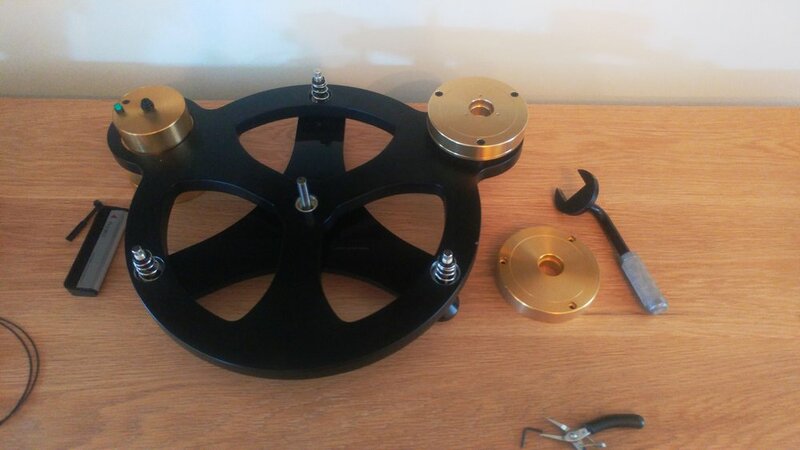 In practice this relates to precise 33 / 45 / 78 RPM speeds, improved pitch and timing. 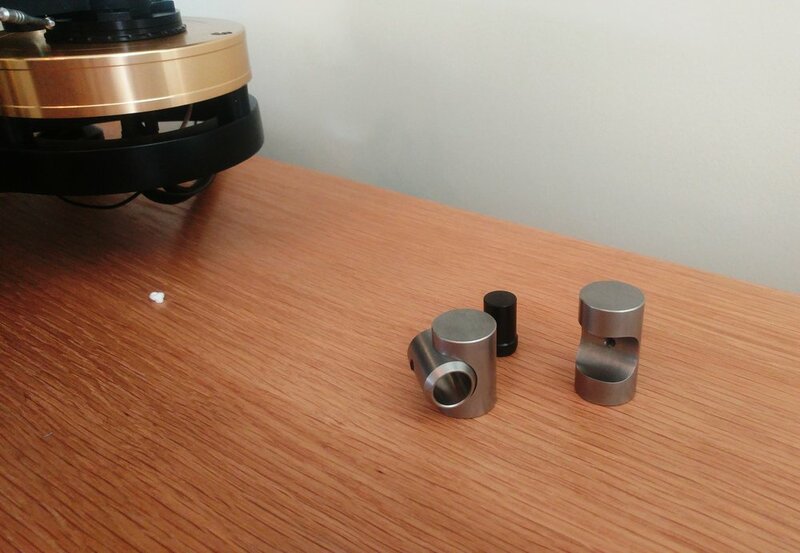 Next up the platter, the Esprit version moves away from a metal platter, to a superior non resonant acrylic one. The use of acrylic eliminates high frequency "ringing" or "brightness" as heard with many metal alternatives, instead it provides a neutral blank canvas for the music to play from. 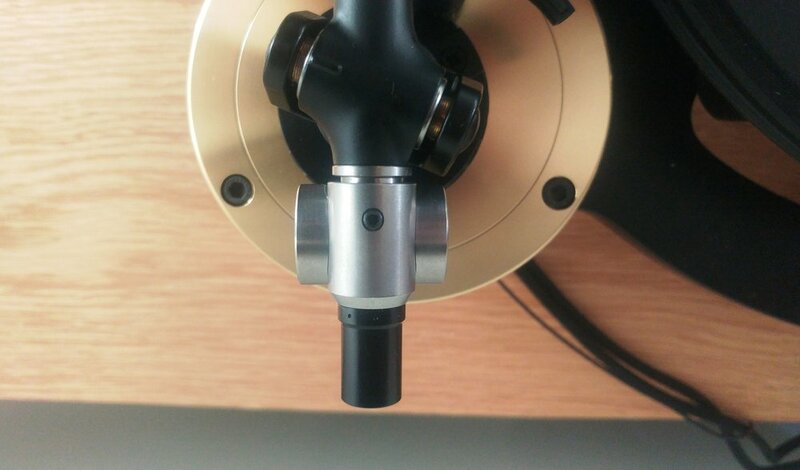 The tonearm is an impressive 8.6" single piece carbon fibre tube, a material primarily used on high-end tonearms. This provides stiffness and reduces unwanted resonances. 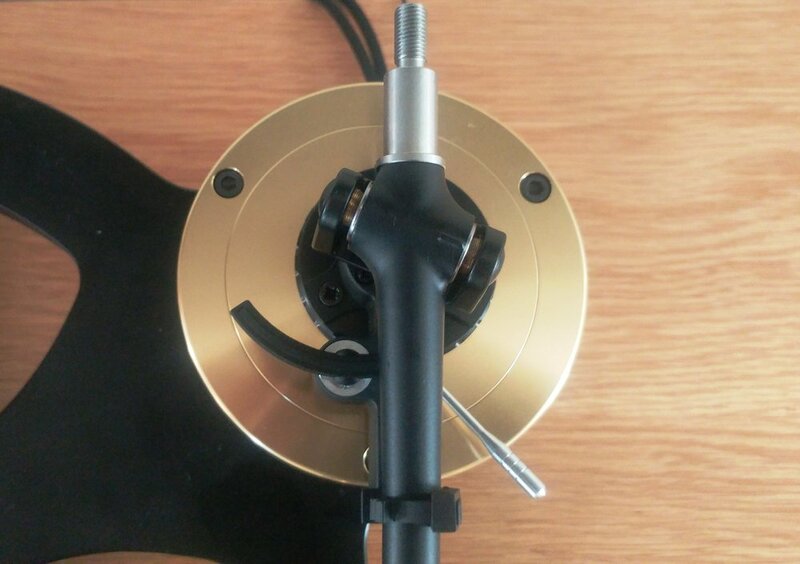 The ever popular Ortofon 2M Red cart is pre-fitted which delights listeners with precise timing and accurate detail. 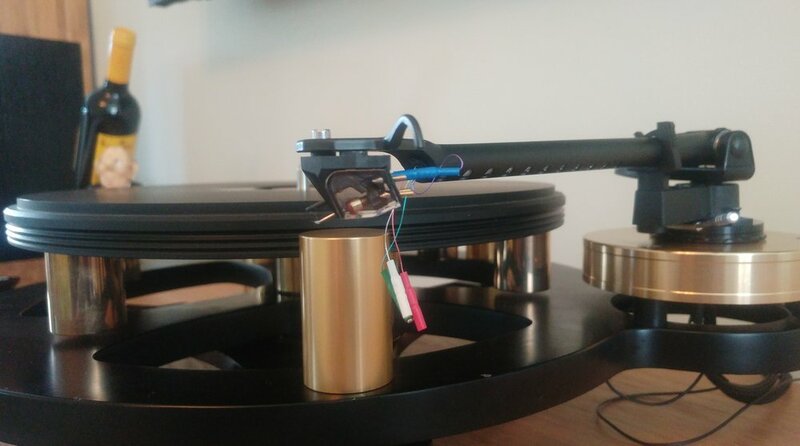 In order to play back 78 speed records the Ortofon 2M 78 stylus can also be purchased (changing the supplied drive belt would also be necessary). The fun doesn't stop there, why not audition Project's Record Puck as a first upgrade to obtain a bigger & better organised soundstage. 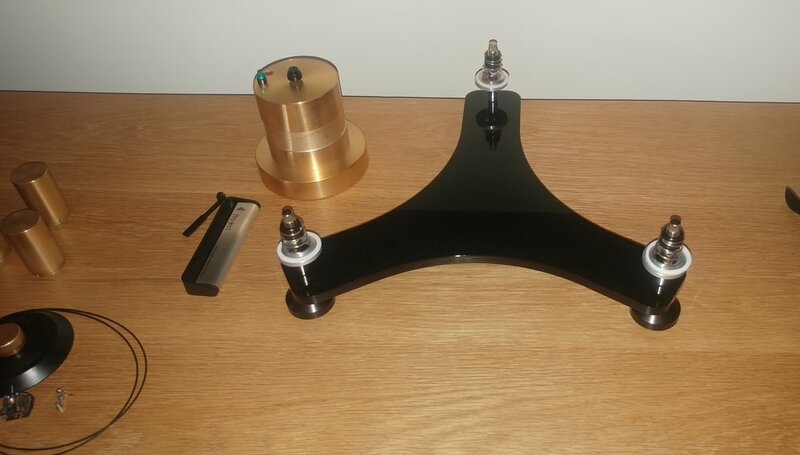 Secondly why not try Project's Connect-IT Phono RCA-CC upgraded external tone arm cabling to retrieve the very best performance out of this stunning turntable. Arcam's 40 years of audio engineering knowledge gives birth to a new ground breaking amplifier design. We are very pleased to introduce the Arcam A39 two channel stereo integrated amplifier! The A39 is equipped with 2 pairs of speaker outputs, a MM phono stage, 6 phono inputs, a 3.5mm aux input, a 6v accessory power output (rSeries products), headphone amplifier, record output & a pre out. The A39 sets new standards of clean & distortion free audio, making the competition sound "masked" or "veiled" in comparison. This is largely down to the 120 watt Class G amplifier inside. The most interesting part of the A39 amplifier design is that the first 20 watts is pure Class A, while the remaining 100 watts is in Class AB. *The Arcam brand is also stocked at other Audio T stores - read more about Arcam and which stores it is available from.